The CILIP CKG 2019 longlists came out a month ago, and tomorrow (19th March) the shortlists will be announced, and on Wednesday shadowing groups across the country will begin in earnest. I blogged about the nominations when they came out way back in November and picked my 10 favourite books from each list (having read near half of each at that point), 5 of my Carnegies were longlisted and just 3 of my Kate Greenaway choices. I have now read 19 of each list, having been unable to get ‘The Poet X’ or ‘Beyond the Fence’ in time. I’m very sad about that because I’ve heard great things about both of them and wouldn’t be surprised to see them shortlisted! I honestly enjoyed all the books, but found choosing the Kate Greenaways much harder than the Carnegies, the judges must have had a tough time getting down from 20 to 8 on each list (max, there may be less) and now they’ve got to re-read all of them multiple times, make copious notes, and get ready for some intense meetings about which books will be crowned winners! I’m really looking forward to seeing what overlap there is between my and their lists, joining in with discussions about the shortlisted titles…and predicting a winner! Hi Emma, welcome to TeenLibrarian and thank you for giving up your time to undergo the third degree! Can you tell us how you came to illustrate this book? The commission from Barrington Stoke to illustrate Good Boy came at the same time as The Family Tree; two Mal Peet novellas as a pair. It was a very exciting moment for me as I’d heard suggestions that I was being considered for the job about a year before but had to wait to find out for sure. I’m not exactly sure how I was selected but I think it had something to do with Mal’s wife Elspeth Graham. That gave me confidence knowing that she believed that I would do justice to his work. This is the second Mal Peet story you’ve illustrated for Barrington Stoke, as well as Siobhan Dowd’s ‘Pavee and the Buffer Girl’, both very well respected names, both sadly deceased. Did you feel daunted at all when you started the projects? Has it got easier? Yes, it is daunting working with someone else’s creation particularly when you know it was one of their final pieces of work, or one of very few pieces they made in the case of Siobhan Dowd. So I’ve always been aware that the stories are very precious to those close to the author and their fans. Fortunately this has never negatively effected the experience of working on them. While illustrating Mal Peet’s stories I had a lot of contact with Elspeth Graham and with the publishers, creating more of a feeling of collaboration. With Good Boy particularly, there was a really good conversation throughout, discussing the story’s possible meanings and the interpretation of the black dog. I’m always nervous sending off any first sketches or ideas to somebody new because I don’t know exactly what expectations they have of me and whether or not I’ll meet them. I’m not sure that part ever gets any easier, but for me it’s good to feel a bit of fear and have that pressure. I love the way you draw people, just the posture you have someone standing in speaks volumes, does that mainly come from people watching and practicing or is it a technique you were taught? Thanks! I find people and living things really interesting to draw, especially when they’re moving, dancing, making something. It all comes from observing and drawing people from life, but in a way it is a combination of both of those things you mentioned. I was taught by a really good life drawing teacher at university; very critical. I would be forced to draw figures more and more as they were, not straightened, softened or altered by a pre-conceived idea of what parts of a body should look like. I do also use films, youtube videos and photographs as reference, with a preference for moving images because you can pause them and draw all of the difference stages of an action or gesture to understand it better. How different is your process when you do live drawing events as opposed to illustrating a text? I’m not sure it is that different. I like to use the same materials when I’m drawing live as I would in my studio: ink, brushes, charcoal. Also I find that I work well under time pressure so when I’m in my studio I make a lot of quick drawings, and sometimes a drawing which took only a few minutes will become a finished illustration in a book. Though, when illustrating a whole book there is always a lot more time spent planning, research, designing characters and playing with different materials. When visiting schools, do you prefer doing storytelling or creative workshops? What age group do you prefer to work with? When teaching a creative workshop I like to work with small groups, again it’s nice to have that feeling of collaboration which you can have when you’re able to talk to people one-to-one about their work. I think I’ll always prefer these more casual interactions than to stand up and teach a big class, but I’m getting over my fears. I’ve put on workshops and live drawing performances for children as young as 8/9 up to adults, and I haven’t decided on a preferred group yet. Though my books are all aimed at a YA audience and they are the ones I love creating illustrations for. What advice would you give to a child that told you they’d like to illustrate books one day? There are a few different routes you can take and studying at university isn’t necessary for everyone. But I did find that studying illustration at that level, with all of my strict and critical tutors, really helpful. I’d say that the most important thing when it comes to studying at any level is to be really interested in your subjects, don’t choose them based on what other people say you should be doing. If you want to be an illustrator start working towards it straight away, don’t think that you can squeeze it in at the weekend after you’ve done all of your other homework. Draw for fun. Don’t throw away all the ‘bad’ drawings, they tell the story of how you got to where you are. I’m re-reading the first book in Elena Ferrante’s Neopolitan series, My Brilliant Friend which I loved. But at the same time Evening Descends Upon the Hills by another Neopolitan writer, Anna Maria Ortese, who I think was a big influence on Ferrante. Ortese’s stories are part-fiction, partly reportage and describe terrible poverty, violence and despair in the city during the 1950s. I love Naples and I want to learn more about it. I’d recommend Elena Ferrante’s books to almost anyone, there is romance, drama, politics and it’s a really vivid portrait of a friendship between two girls and of the neighborhood they live in. Evening Descends Upon the Hills is also brilliant but bleak. Anything in the pipeline you can tell us about? I’m preparing for the release of Good Boy at the moment and preparing for school visits, festival events and a prison workshop, all happening throughout Spring and Summer. Being in between books, I’m working on some personal projects which is really nice to be able to do. In particular, I’m finishing a proposal for a non-fiction wildlife book to take to Bologna in April. The horror of potential interaction with our fellow attendees – being forced to participate in ice-breaker activities, being asked to share anecdotes, being close enough to the facilitator to make eye contact – nothing can make one break out into a cold sweat faster. Or maybe that’s just me? It was, therefore, a relief to find that the first breakout session I attended at this year’s YLG Conference (Reading the Future, at the Mercure Manchester Piccadilly, 21-23 September 2018) required none of these things. Titled ‘Cultural Appropriation, Unconscious Bias and Colonial Aspects of Collections’, this session took the format of a panel discussion followed by a Q&A, introducing me to creators whose excellent work I had not previously encountered. Ably guided by academic Chloe Germaine Buckley, Senior Lecturer in English and Film at Manchester Metropolitan University, authors Candy Gourlay and Miriam Halahmy each introduced us to their most recent novels before engaging in a discussion of why and how, even nearly two decades into the 21st century, publishing and libraries still struggle to present readers with a choice of books that accurately reflect the enormous diversity and reality of the world in which we all live. Buckley began the session by quoting some hard numbers, drawing from data collected and reported by the Centre for Literacy in Primary Education (CLPE): of the 9,115 children’s books published in the United Kingdom during 2017, a mere 391 – just four percent! – of these featured Black, Asian, and minority ethnic (BAME) characters. Even more shocking, over half of this paltry total were what is often referred to as ‘social issues’ books – giving the strong impression that BAME characters and lives aren’t thought of by many authors – and therefore, many readers – as ‘normal’, ‘mainstream’ or otherwise ‘unremarkable’, but rather disrupted by racism, violence, or other incidences of social disorder. After allowing a moment for the audience to fully absorb this information, Buckley introduced Miriam Halahmy, author of numerous books, poems and short stories for children, teens and adults. Of course, the real answer is much more complicated; overcoming the current deficiency of representation will require the cooperation of authors, literary agents, publishers, media reviewers, readers and librarians. Halahmy is certainly doing her part: as a Jewish woman with four Polish grandparents, married to an Iraqi Jew, different languages and cultures (including Polish, Yiddish, Hebrew, Russian, and Arabic) have always been a part of her life – in her words, she ‘cannot help but write multicultural characters because this is the world I inhabit.’ Halahmy’s beliefs complement my own primary philosophy as a librarian – that all children deserve to be able to see themselves reflected in the pages of a book. Her newest book, Behind Closed Doors, is about two teenage girls on the verge of homelessness for very different reasons, and features a cast of characters from a range of backgrounds, including Black British schoolboy Dom and Japanese-American swimmer Jordan. Next to speak was Filipino author Candy Gourlay, whose 2018 novel, Bone Talk, originated when the author was conducting research into Filipino immigration for a non-fiction book on the subject, and came across a photograph from the 1904 World’s Fair in St. Louis, Missouri. This photo, depicting a woman dressed in the customary Edwardian fashion of the time, standing alongside a man naked but for a G-string, piqued her interest, for alongside the spectacular displays of scientific and technological progress – including the first electrical socket, incubator, x-ray machine and Ferris wheel – the sights advertised by the Fair’s organisers also included ‘exotic peoples’. Gourlay went on to explain how the subjects of these grotesque living exhibits included a number of displaced people; in this case, the man in the G-string was a Native Filipino, a member of a group of highland people known at the time as the Igorot – but better known to Americans as head-hunters. [Note: in my research for this piece, I learned that the exonym ‘Igorot’ is considered somewhat of a pejorative by the people whom it describes, and that the tribal people of the Cordillera region prefer a number of other terms; hereafter, I shall use the term ‘Cordillerans’.] A number of Cordillerans were brought to St Louis following the Philippine-American War (1899-1902), in anticipation of the World’s Fair; once there, the Native Filipinos duly reconstructed a mock village as part of the wildly popular ‘Philippine Exhibition’, in which they lived in plain view of gawking fairgoers, staging daily shows for the entertainment of their Western audiences. Gourlay’s research into these people and how they came to be part of the 1904 World’s Fair took her from archives in St Louis all the way to the mountain provinces of the Philippines, where she made two important determinations. Firstly, the story of the Cordillerans was one she wanted to tell; secondly, although she herself is Filipino, this was not her story – and writing it as such would be cultural appropriation. Gourlay went on to clarify this point, saying that to an extent, ‘all fiction is cultural appropriation’; however, the problem with writing a story from the perspective of the Cordilleran people at the turn of the twentieth century is that no authentic record of their voices survives – only American versions. For this reason, although Bone Talk takes place amongst the Cordilleran community – specifically, the people of the Bontoc – it does so during the period of the Philippine-American War, thus enabling Gourlay to draw from those American chronicles of life amongst the Bontoc people at that time and thereafter as she constructed her work of fiction. Gourlay’s discussion of how her writing critique group is made up of cisgender white people authors, and how she had to ‘knock back’ certain aspects of Bone Talk as a result. Halahmy pointed out that ‘we are very much on the cusp of change’ in terms of elevating lesser-known voices within libraries and publishing, though there still exist ‘a lot of barriers to be broken down’. Gourlay concurred, going on to say that what will really help increase diversity is ‘not having diversity panels’ but instead making the effort to ‘move in the realms of the people you want to invite in’ to the conversation; Halahmy nodded in agreement, musing, ‘the number of book launches I go to where I’m the darkest person in the room…’ before declaring that ‘this is not a box-ticking exercise’, a statement that was met with applause, and brought the panel to a close. I could not agree more with these sentiments. After nearly two decades of librarianship, I have learned that establishing diverse representation in my collections and avoiding (as much as possible) unconscious bias in my reading is only possible through hard work, constant education, and an open mind. As a white man – and an American one, at that! – stories about people like me have been front and centre for far too long; it is my responsibility to use the privileges afforded to me as a member of that demographic to elevate and promote the voices of those who may be overlooked, and who may struggle to find and connect with readers or books featuring people like themselves. I was still in grade school when Dr Rudine Sims Bishop, children’s literature scholar and Professor Emerita from The Ohio State University, published her seminal essay ‘Mirrors, Windows and Sliding Glass Doors‘ (Perspectives: Choosing and Using Books for the Classroom. Vol. 6, No. 3. Summer 1990), in which she introduced teachers, librarians and other educators to a framework with which we can build and foster multicultural literacy. Nearly three decades later, I firmly believe in Sims Bishop’s philosophy; our primary duty as librarians is to provide as many different mirrors and windows as possible, in order to enable all of our users to both see themselves reflected, and to learn about other cultures. Gauging by the number of my colleagues who attended this panel, I am not the only one. As a first-year judge for the CILIP Carnegie & Kate Greenaway Medals, I was especially gratified to see so many of my fellow judges in attendance; frequent readers will recall that CILIP has recently released the final report summarising the Independent Review of the CKG undertaken from June 2017 and has, or will shortly be, implementing a number of changes to the process as a result of these findings. I feel enormously lucky to have joined the judging panel at this point in time, as the various training opportunities made available to us will be of great use to me both personally and professionally; indeed, I can already identify a subtle shift in how I evaluate this year’s nominated titles against the awards criteria. (Time spent on said evaluations – and the sheer scale of the 2019 nominations list – may explain why this piece is being published some two months after the annual conference. Oops?) My heartfelt thanks to Chloe Buckley, Candy Gourlay and Miriam Halahmy for their time in presenting this panel, to all of the conference organisers for a fantastic experience, and to Caroline Fielding for the extremely late submission of this report…. It is finally here! 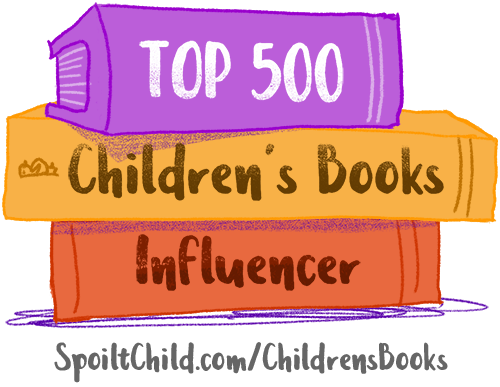 The biggest ever (again) nominations list for the best ever children’s books awards. For those of you who don’t know, the Carnegie medal is awarded to the author of an outstanding piece of literature for children and young people while the Kate Greenaway medal recognises the illustrator of an outstandingly illustrated book for children and young people (the 2019 awards are for titles published in the UK between September 2017 and August 2018). Most nominations come from members of CILIP and so for a book to be nominated it must have been read and loved by at least one individual…hopefully, before nominating, that individual will have also considered whether the book meets the criteria that the judges then use to whittle the huge nominations list down to a long list of (up to) 20 each to a shortlist of (up to) 8 each to the eventual winners. Some of us (lucky us) get sent books by publishers, sometimes with a “we’d like this to be considered for CKG” note, but the nominations are all made by people with an interest in libraries for children and young people. This year, 254 books have been nominated for the 2019 Medals; 137 books are in the running for the CILIP Carnegie Medal and 117 for the Kate Greenaway Medal. 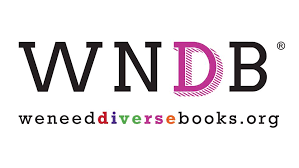 Books have been put forward by a record number of nominators which, alongside CILIP members, includes several external bodies − BookTrust, CLPE, Commonword, IBBY, Inclusive Minds, National Literacy Trust and RNIB − invited to nominate as part of CILIP’s diversity and inclusion action plan for the Awards. o and a quarterly publication of Top 10 New Voices eligible for the upcoming Medals. Scanning the lists, some favourites are there along with a few that I keep meaning to read. In the years before my judging tenure I read the full nominations list every year, and then obviously while judging I read everything (some things many times over), but as the list grows ever longer and more and more books continue to be published that will be eligible for 2020 (…2020! Wishing my life away in CKGs…) this year I’m going to alternate one book from the list with one new book and see how far I get. So far, I’ve only read 1/3 of the Carnegies (clearly spent too much time re-reading Pratchett) and nearly half the Kate Greenaways (will have to raid the public library for the rest). What do I love that I’ve read so far? Oooh, it is fab to be able to think about favourites and not just about criteria. Every year I guarantee you every one of the judges will have to lose at least one of their favourites to those that the panel agree best meet the criteria. Judges can’t say “I loved this book because…”, they have to say “it meets this criteria because…”. So my top 10 Carnegie favourites so far are: David Almond Colour of the Sun, Jo Cotterill Jelly, S.E. 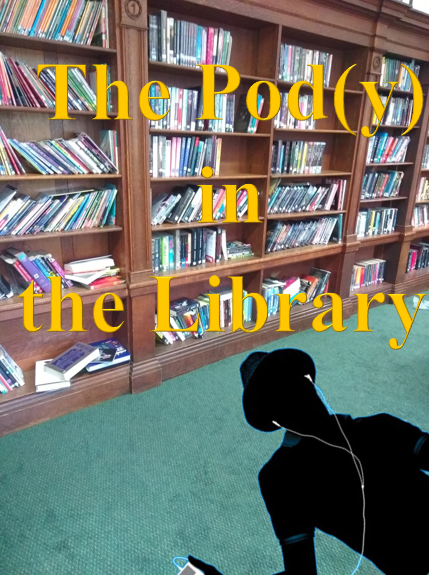 Durrant Running on Empty, Candy Gourlay Bone Talk, Frances Hardinge A Skinful of Shadows, Catherine Johnson Freedom, Zanib Mian The Muslims, Philip Reeve Station Zero, Jason Reynolds Long Way Down, Dave Shelton The Book Case. Top 10 Kate Greenaway that I love, so far, are: Mehrdokht Amini Nimesh the Adventurer, Francesca Chessa Is it a Mermaid?, Rebecca Cobb The Day War Came, Ruth Hearson Zeki Gets a Checkup, Jean Jullien I Want to be in a Scary Story, Fiona Lumbers Luna Loves Library Day, Poonam Mistry You’re Safe With Me, Jackie Morris The Lost Words, Chris Priestly Long Way Down, Catell Ronca The Drum. It was hard to whittle it down to 10 each and I’ve got so many left to read! I’m certain they won’t all be longlisted, but that’s the joy of picking favourites. It seems to me that the Kate Greenaway list has far fewer titles for older children than in the last few years, but of course that may well just be because half the ones I’ve not read yet are for teenagers and (having a 3 year old) I’ve gravitated more towards classic picture books! The Carnegie list seems to have something for everyone in there, I don’t envy the judges having to make those decisions*! 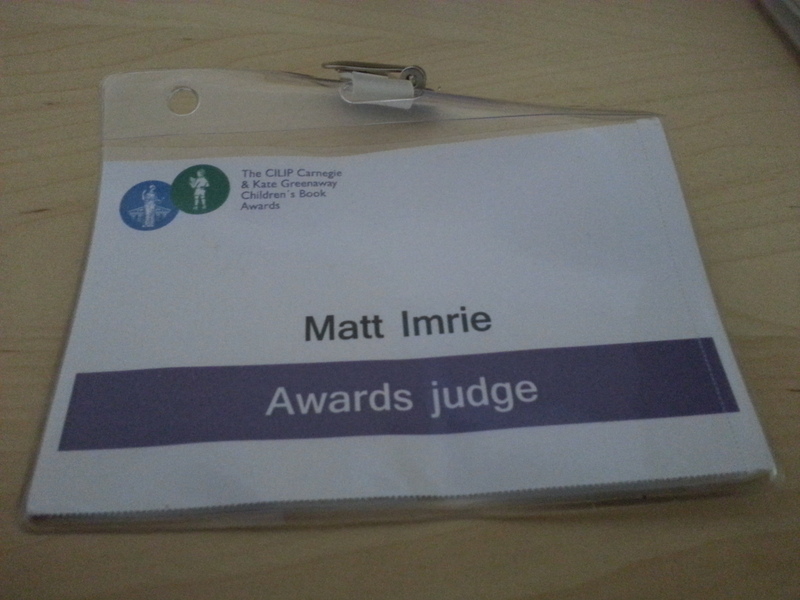 Full disclosure: I am a member of CILIP and a former judge for the 2015 & 16 CILIP CKG Medals. I knew it was coming, and was even expecting it, but what with some changes in my life and location, the announcement that the CILIP Carnegie & Kate Greenaway Awards Independent Diversity Review Final Report was published on Thursday 27th September still managed to catch me by surprise. As an ardent fan (although not an uncritical one), follower and commentator of the Medals, I was excited to read the recommendations, but still approached them with a sense of trepidation; owing possibly to the sense of ownership I felt as a librarian and as a member of CILIP and the Youth Libraries Group. Nevertheless I shook off these feelings and approached the report with a cautious optimism and told myself that the Awards do not belong to me, that I know they are a living thing that can and have changed in the past and that change is good. Explicitly champion diversity through the Awards’ strategies, development plans and messages including a statement of a robust and proactive strategy for the Awards that clearly states a commitment to diversity and inclusion with clear vision, objectives, and positive action towards stated intended outcomes. Recognise a diverse range of voices and perspectives in the nominations, longlist, shortlist and prize winners. Expand the diversity profile of the judges by increasing the variety of backgrounds and lived-experiences amongst CILIP’s panel of librarian judges. Establish an equality, diversity and inclusion advisory panel to accelerate the embedding of diversity and inclusion throughout the Awards. Strengthen the diversity training that librarian judges receive to instil heightened awareness of diversity and inclusion and understanding of the impact of power dynamics, as well as acknowledgement of inevitable personal biases in all members of the panel. Review the Awards criteria through an open and collaborative process that includes a diversity of perspectives and lived-experience. Consider the inclusion of criteria for innovation, shifting perceptions, or writing about different backgrounds and experience as indicators of quality and excellence. Empower and celebrate the children and young people involved in the Awards through the shadowing scheme by giving them a significant voice and visible presence in the process and prize giving. Strengthen the governance that supports the Awards’ strategic direction, calling on internal and external experts to lead the Awards through a sustainable change process over the short and long term. Raise greater awareness of diverse books amongst librarians and identify opportunities for further championing of diversity with the library supply sector. Increase outreach by opening up and amplifying the nominations process, discovering and recognising new and diverse talent and forging new partnerships. Creating a new mission for the Awards: To inspire and empower the next generation to create a better world through books and reading. Opening up the nominations process to external nominating bodies as well as librarians including BookTrust, CLPE, Commonword, IBBY, Inclusive Minds, National Literacy Trust and RNIB. Creating a list of eligible books by diverse authors and illustrators, to raise awareness amongst CILIP members. Expanding the judging panel to bring in a broader range of perspectives and experiences into the judging process. Setting up an equality, diversity and inclusion advisory panel to bring greater representation and lived experience into the Awards process. Providing judges with enhanced diversity training including coaching sessions, bias testing and guidance notes on identifying inclusion in children’s books. Introducing a new children’s choice prize to be presented by participants of the Shadowing scheme at the June Awards ceremony. Celebrating new and emerging talent though a quarterly publication of top 10 new voices eligible for the upcoming Medals. The recommendations and actions that give me a sense of joy and elation are that future Awards will include recognition from the Shadowing scheme, I and many other judges and observers over the years have asked for and pushed for this, or something like it to be included in the ceremony. The already excellent training that judges go through before they sit on the panel is to be improved with diversity training to assist judges in identifying bias and inclusion. I must admit to feeling a bit smug at being ahead of the curve when I read that CILIP is curating a list of eligible diverse books for the 2019 awards as that is something I was working on for the 2018 Awards; such lists are important, for, as I wrote then: I believe that it is possible for books to slip past fairly easily, due to the sheer volume of books published for children and young readers and the limits that publishers publicity departments face with regard to budget, many books are released with little or no official fanfare at all. Maintaining awareness of new books is an on-going struggle for library workers, this is made more difficult with services such as supplier selection which removes choice from staff in libraries; often popular titles and authors are purchased to the exclusion of new authors and illustrators or small and independent publishers. I will just say that many of my best sources of information about new and diverse books are librarians that I know personally and on-line as we are passionate about discovering new authors to enable us to put books in the hands of readers who will enjoy them. Allied with this is the inclusion of new nominating bodies, including IBBY, CLPE, Booktrust, Inclusive Minds, the RNIB, CommonWord and the National Literacy Trust. At first I was skeptical of opening nominations to outside organisations but after some reflection I have come to realise that the organisations involved are all allied in some way with CILIP and may catch and nominate diverse titles that are missed by librarian nominators. Expanding diversity and experience among the judging panel is a process that has already begun with judges being recruited from a wider pool within CILIP, the first judges recruited in this way will be judging the 2019 Medals. I am curious as to why the panel is being enlarged to 14 judges; in previous years judges have represented the 12 YLG regions in the UK. I am assuming that the extras will be chosen from the pool of applications for the original 12 places. An added point of concern is that it will place more pressure on finding judges, as I am aware that in the past filling slots on the panel has been a bit fraught due to a lack of available librarians. I wonder whether the extra judges be chosen in rotation from the different regions every two years in the interests of balance and equality? The call to review the awards criteria is one that I feel may be redundant, as the criteria are already regularly reviewed and updated when short-comings are discovered. The most recent example of this is the addition of the illustrator’s name to illustrated novels nominated for the Carnegie Medal in 2016 . I do however recognise that the explicit language used may be needed to inform those unaware of how the criteria are governed and updated. Adding an equality, diversity and inclusion advisory panel to the panel that already exists to advise and monitor the awards process can only assist the judges in their deliberations and making the strongest possible selections. I will watch with interest and look forward to discovering who will make up the panel. The championing of new voices is a great idea and one that will lead to a closer working relationship between CILIP and publishers & authors in the UK and abroad. The CILIP Carnegie and Kate Greenaway Awards have been in existence for over 80 and 60 years respectively, and under the stewardship of the Youth Libraries Group and CILIP they have grown in prestige and awareness over the decades. I trust the stewards to do the right thing for the awards, to make them stronger and ever more inclusive; in supporting the judges as the work that they do grows ever harder with no end in sight to the growth in publishing for young people. I look forward to watching the awards progress in coming years, to see how the largest changes in over a generation affect them; but remain confident that it will be change for the better, as their defining purpose, the recognition of outstanding writing and illustration for children and young people, has not changed! So… this is it, for the first time in two years I am out of the club of Judges, I have handed in my badge and secret decoder ring; the codes on the doors have been changed and my e-mail address removed from the judges mailing list. Yesterday the 2016 CILIP Carnegie & Kate Greenaway Awards for the most outstanding books were awarded to Sarah Crossan for One and to Chris Riddell for The Sleeper and the Spindle. This marked the end of my active invlovement as a CILIP Carnegie & Kate Greenaway Judge, having read (and reread) a combined number of 325 books over two years, and in that time winnowed them down to four outstanding books I am now free! Not that I really want to be but the CKG Awards always require fresh blood periodically. Thank you all! I owe everyone a debt of gratitude for making me welcome and for the experience of critically examining and discussing some of the best books published for children and young people in the UK. I get so little time in my daily life to sit down and discuss books with other people that are as passionate and excitable about literature as I am that each time we met to discuss the nominations, long and short lists it was like a holiday – admittedly one where there was disagreement and arguments about the suitability of the books we were championing. It was pure heaven! I now have to go cold turkey from the judging process and am frantically looking for other awards that may be in need of an experienced judge, so if you are involved with the Kitschies, the YA Book Prize or any other national award and have a vacancy please let me know! Hell I’ll even take on the Booker! Now, to all members of CILIP and the YLG I urge and implore you to consider getting involved with your regional committee and putting yourself forward to become a representative on the judges panel! You will not regret it! The winning titles are made public in June. The Carnegie Award is a gold medal and comes with £500 worth of books that the author can donate to the library of their choice. The Kate Greenaway Award is also a gold medal and comes with £500 worth of books but also the Colin Mears Award which is a £5000 bequest left to the winner of the Kate Greenaway Award by Colin Mears, this has been awarded annually since the year 2000. I received my call-up e-mail today! I will be attending CKG Judge training on the 16th October at Seven Stories in Newcastle. I have been reading towards the Carnegie & Kate Greenaway Medals since September last year. My reading has ramped up a bit over the past couple of months as there are so many good books that I missed (and that are still being published). I fear that the nominations list will be longer than last year which is one of the main reasons for starting to read early. I have heard that the nominations date is being brought forward to give judges enough time to read all the nominations and give due consideration to each; but by how much I do not know.